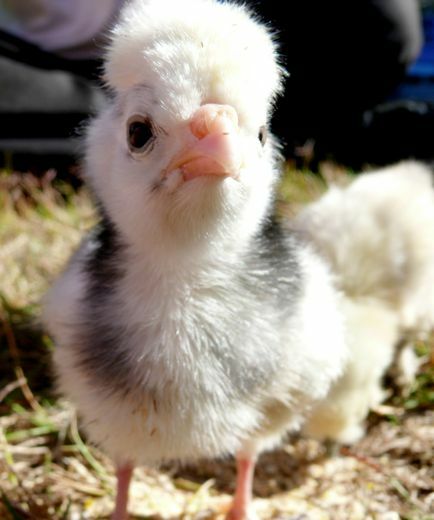 Chicken Blog: Mysteriousness & Brevity & You Guessed! Gee. I am less mysterious than I thought. Wonder what gave me away? I know, right? What was I thinking? It's that they were so tiny, and no matter how many I picked, they still didn't amount to one, whole chicken, so I picked one more... and then, suddenly, there were six. Hmmm... just this morning I imparted some of my wisdom on someone: The events preceding an action do not necessarily justify said action. I might consider paying attention to my own wisdom. And Susan and Sylvia... you ladies know me pretty well, I guess. Maria named her. 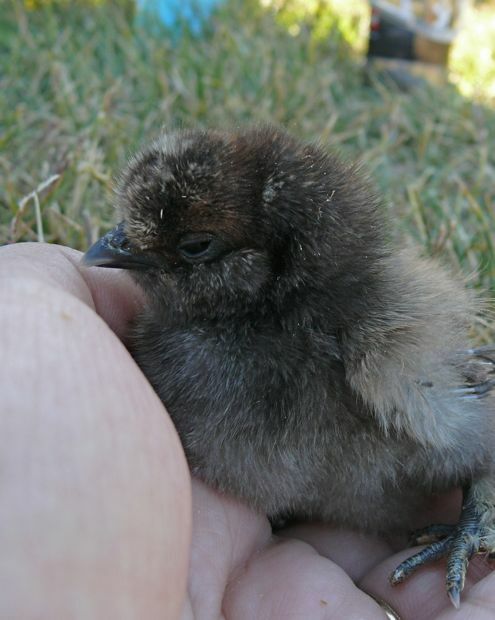 She is a black Silkie. She has feathered feet. She will be a hen. Say hello to Trudy. She was named by fans of a certain blockbuster movie... the one that did not get Best Picture. Trudy is a pilot. She will be a hen. Here is Zelda. Max named her. 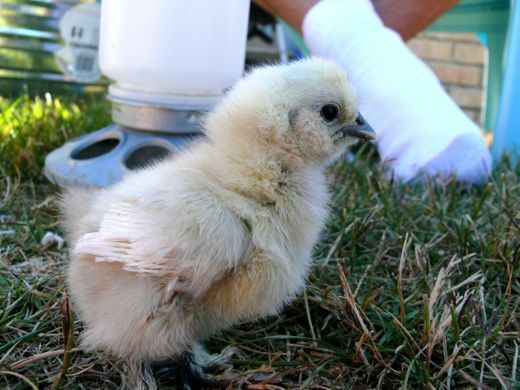 She is less yellow than her Silkie sister, Trudy. They have feathered feet like Puff. This is little Miss Zoe. Alex named her. Another sci-fi inspired name. "Firefly" anyone? Zoe is an Araucana. She will be a hen that lays green or blue eggs! And the Polish sisters are Temple and Nikki Tesla. Named for two highly respected scientists, Temple Grandin and Nikola Tesla. Hello Temple. I love your Polish puff. At least they will all be hens. Could it be ... new chicas?! 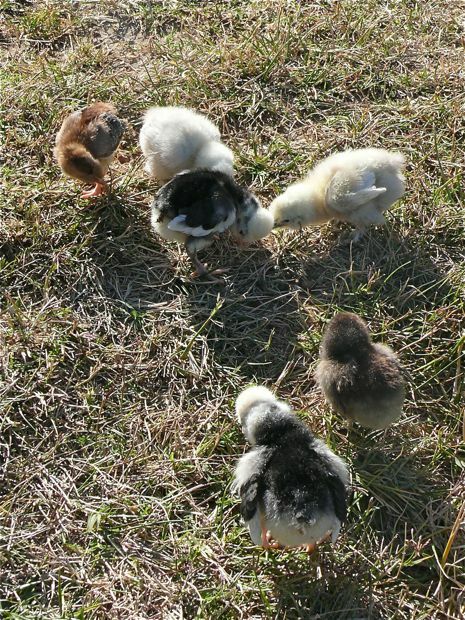 Names for the new chicks? Love the names, love sci fi and I just wrote a blog on firefly! I guess great minds think alike! 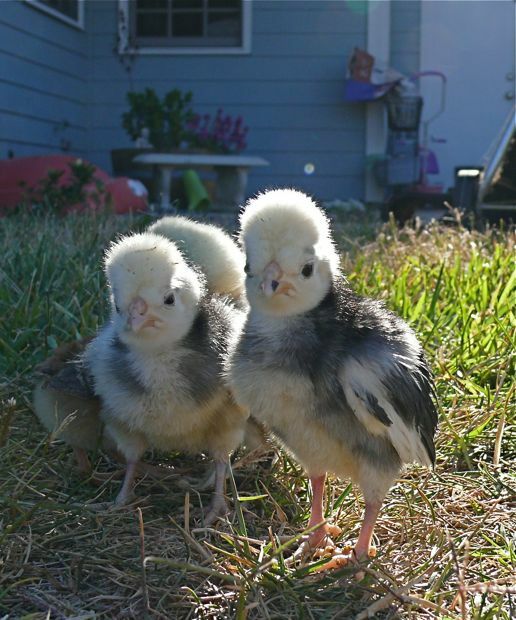 Love the chickas - love their names!! Hear, hear to hens all around. 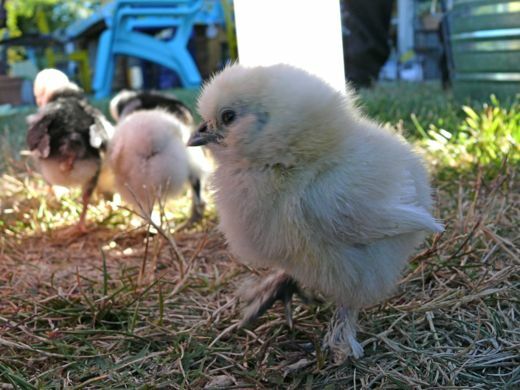 Wish we could come visit and help welcome the lucky chicks to their new home! Oh my cute!! I can't wait to see their growing-up-ness! oh god.. the are soo cute, they look good enough to make pets, i hope they remain as pretty when they grow up too!! Totally gorgeous pictures, incredible cute! I also love the pictures in your previous post too. 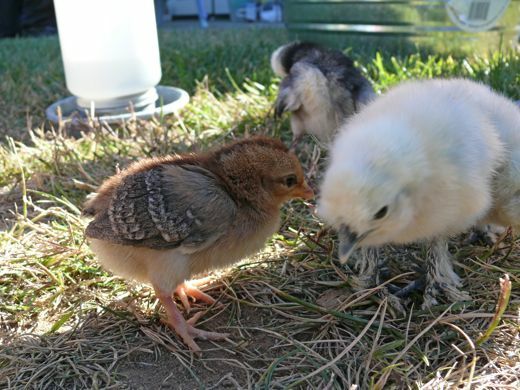 I have hens on my farm but they're so not cute like these little sweeties! Congratulations on your Blog of Note, well deserved. If you say it, it is so....yeah, right! Good luck on your hen affirmations! They look like hens to me. 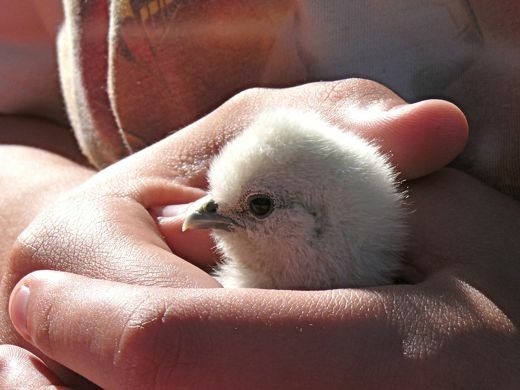 ;-} When I got mine 2 years ago, I was really lucky and only got one rooster out of 16 chicks. Your chicas are extremely cuuuute! It was sooo weird...I checked Blog of Note this morning before coming here(I NEVER check it!) and guess who popped up...Chickenblog! How fantastic! Congrats, Natalie! I know, I'm a little late. Sorry about that! I came across your blog thanks to 'blogs of note'! 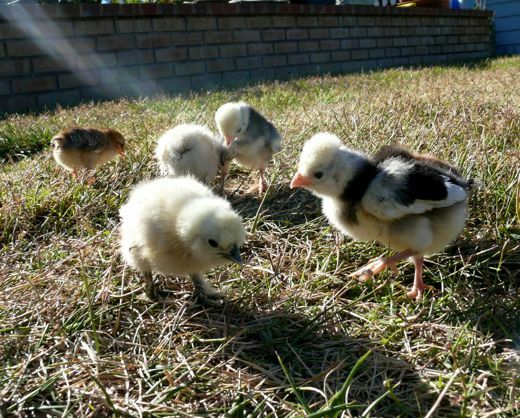 Our chicks hatched on wednesday and they are adoooooorable just like yours- but with slightly less diversity! And yes mine also will be hens. Whether they like it or not! They say you should NEVER name farm animals. Ok, I can only guess that these are NOT farm animals and will be with you for some time! 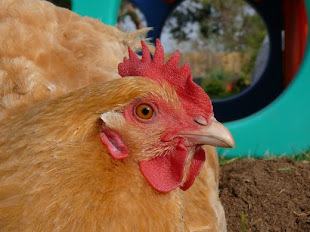 Did you see the blog of note a few days ago on chickens...? The fellow named his 3 chickens something like: chicken salad, chicken pot pie and chicken stew. I HOPE he was NOT going there! Ha! Firefly! I love Firefly...and Zoe is bad a$$ so you may have your hands full! 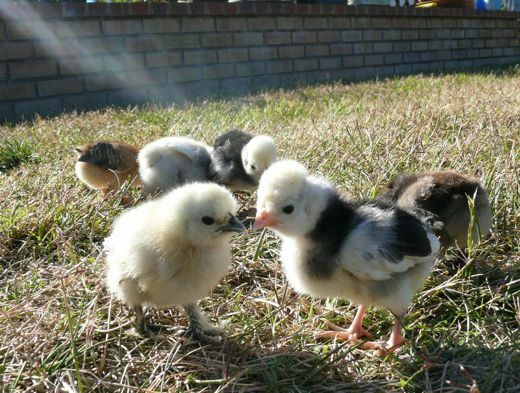 OH......You had me at the pictures of the baby chickens. I am now a follower and will obey all rules if you just let me stay. I'm right there with you...our mantra is the same...they will be hens. Course that hasn't always worked out in our case (see post below)! Let me know if you figure out the secret.